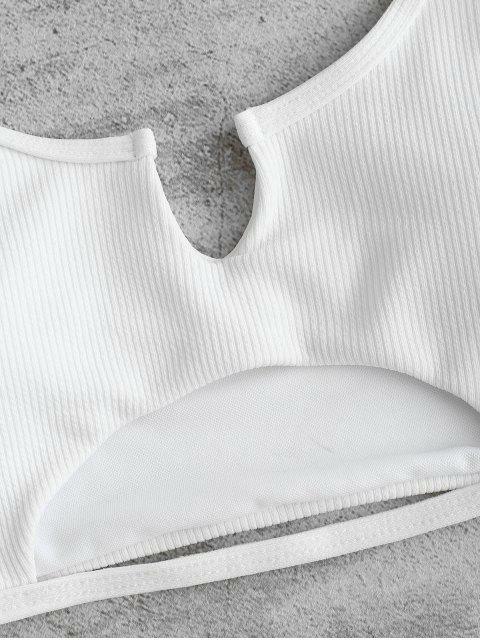 [28% OFF] 2019 ZAFUL Ribbed Cutout Bikini Set In WHITE | ZAFUL ..
Super cute. Bottoms are slightly tight and top fits well but isn’t nearly as tight. Different sized top & bottom would have been perfect. 135 lb 5’6, M size. The band on bottoms came slightly twisted but I still am happy with the bathing suit.